A crescent Moon is about to sink under the western horizon in this sea and night skyscape. The atmospheric photo was taken on September 11 from the desert shore along the Skeleton Coast of Namibia. So close to moonset, the moonlight is reddened and dimmed by the low, long line-of-sight across the Atlantic. 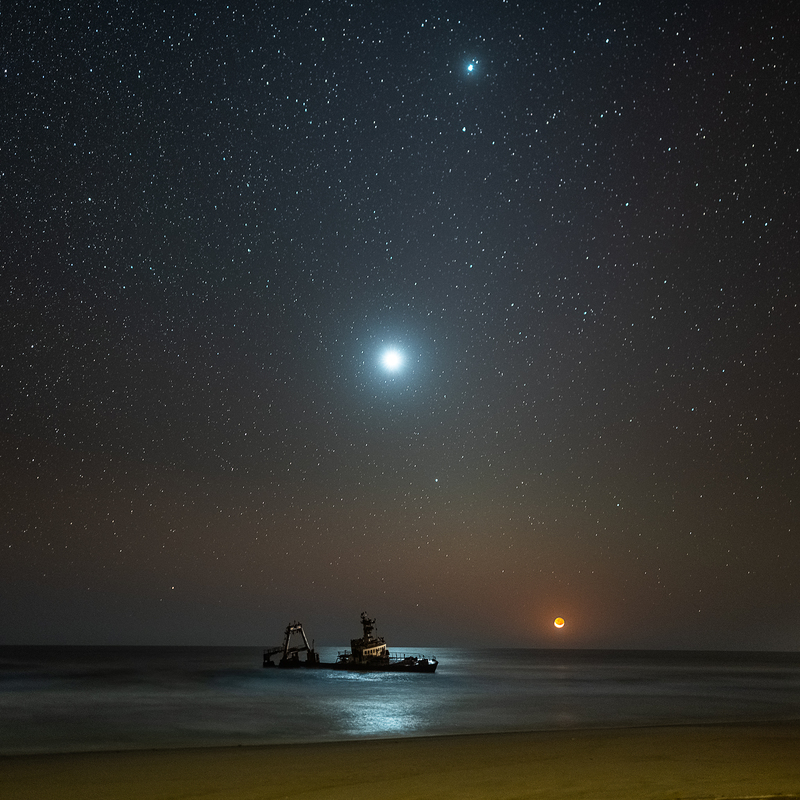 But near the center of the frame Venus still shines brightly, its light reflected in calm ocean waters. The celestial beacon above the brilliant evening star is bright planet Jupiter. Namibia’s Skeleton Coast was so named for the many seal and whale bones that were once strewn along the shoreline. In more recent times it’s better known for shipwrecks.